Indofil has four manufacturing facilities producing multi products with the state-of-the-art PLC (Programmable Logic Control) and DCS (Distributed Control System) based systems and multiple toll manufacturing units across various parts of India. The manufacturing processes are automated with advanced equipments and environmentally compliant machines, ensuring faster throughput and safe working conditions. 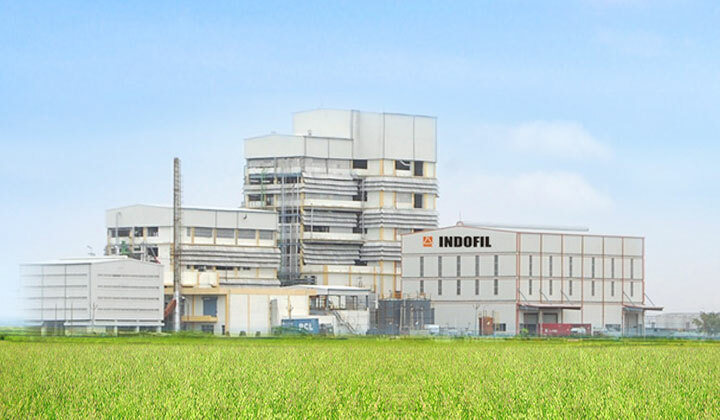 The first plant of Indofil at Thane, Maharashtra state commissioned in 1962 continue to produce various fungicides including Mancozeb, Zineb, Maneb, Cymoxanil, Tricyclazole, Myclobutanil, Metalaxyl, Dodine and Propergite,. Indofil expanded its manufacturing facilities in Gujarat state by adding Mancozeb mixtures and new fungicide molecules by commissioning 2 manufacturing plants at Dahej, SEZ (Special Economic Zone, ranked among the top 10 SEZs in the world by Financial Times, London) and 1 manufacturing unit at Dahej, GIDC location. The increased production capacity has helped Indofil in reducing the process cost. Thane and Dahej Unit 1 are certified by DNV for ISO 9001, ISO 14001 and OHSAS 18001 systems. Construction of new plant at Dahej, GIDC-Unit 3 completed and expected to commence commercial operations in Q2 of 2018-19. The new plant in Dahej, GIDC is another landmark in Indofil's journey towards manufacturing excellence, quality and efficiency. As the part of sustainability initiatives, Indofil has implemented the state of art ZERO LIQUID DISCHARGE (ZLD) facilities at manufacturing Unit 2 and 3. Joint Venture with Hisun (HIFIL) : The objective of the Indofil and Hisun Joint Venture is to register exclusive imports of agriculture chemicals and to distribute formulations. The data generation for registration is in progress. Joint Venture with Shanghai Baijin Chemical Group Co. Ltd. (SBC), China: As part of the backward integration strategy, Indofil entered into a Joint Venture agreement with Shanghai Baijin Chemical Group Co. Ltd. (SBC) to manufacture Carbon-Di- Sulphide (CS2). The company holds 51% of the equity in the joint venture, which would help Indofil to cut down the import of CS2 completely. This joint venture will entail a unique landmark in terms of manufacturing technology & efficiency and will take the company to new heights of excellence.